Treatment Scores, Inc. intends to help you with evidence-based medicine. The field of medicine is so complex that the "common man or woman" cannot organize all the data and understand it. We have created tools to help you. 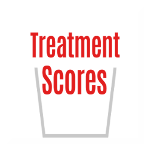 Our main tool is called the Treatment Score Analyzer™. We are producing Science of Medicine Treatment Scores™ and Science of Medicine Treatment Grades™. We abbreviate Science of Medicine as SOM® or SoM®. Thus we are producing SOM® Treatment Scores and SOM® Treatment Grades. We are using our Diagnosis Tool™, Treatment Organizer™, Treatment Score Calculator™, and STAR Blocks™ to do this. Our goal is for you to be able to see and understand the science of medicine behind treatments and behind the clinical decision-making process. We are all about medical education.